Faded lettering, mud, dirt, dust, and rust are just a few of daily issues all engines face on the tracks. Our new weathered engines are done by hand in the USA by train enthusiast and expert Harry Hieke. He brings over 20 years of experience and personally details and weathers each locomotive. In 1919, the American Locomotive Company built forty-five 2-8-8-2 steam locomotives to the specifications of the United States Railway Administration. These locomotives were the biggest that the USRA had ever designed and were destined for the Norfolk & Western Railway. After almost a quarter century on the Norfolk & Western, nineteen Y-3 locomotives were sold to other railroads at the behest of the federal government, including the Union Pacific and Santa Fe. 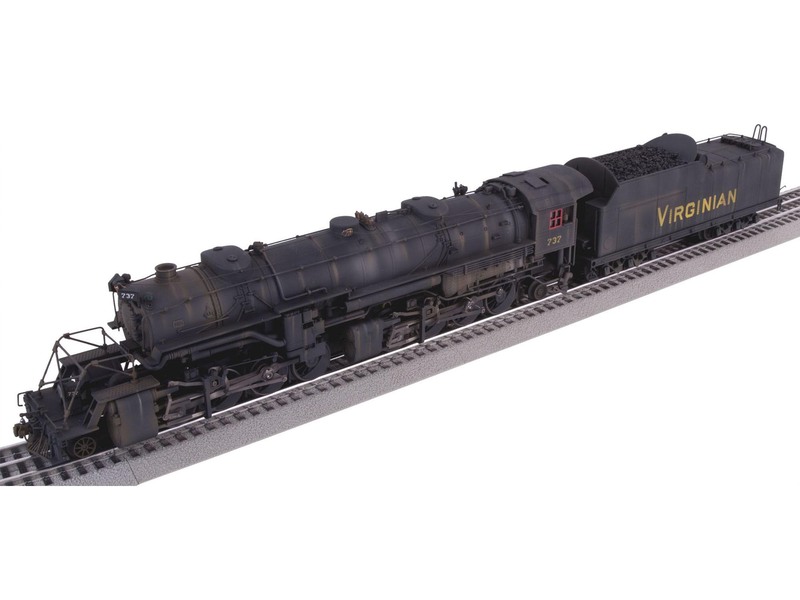 In 1947, the Santa Fe found a buyer for its 1790-class when the Virginian Railway purchased seven of the locomotives.